You don’t have to raise the Union Jack to love a good cup of tea. 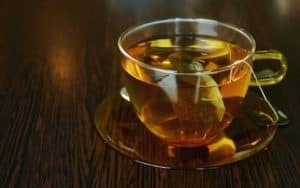 Whether it’s green, black, chai, caffeinated, decaffeinated or something else, tea soothes the soul and helps you relax without the extra jitters you might get with coffee. The next time you’re in the mood for a “cuppa,” head to one of these tea rooms in Indianapolis. Offering a selection of teas from around the globe, Tea’s Me Cafe is one of Indy’s highest-rated tea rooms. With loose-leaf teas from Sri Lanka, China, and Turkey, there are enough options for you to choose a favorite or explore the entire tea world. If you’re famished, grab a breakfast wrap, sandwich, or salad to quell your hunger. The cafe also has free Wi-Fi, which is perfect to surf the web or get some work done. Tea’s Me Cafe is located at 140 E. 22nd St. Hours are 7 a.m. to 5 p.m. Monday through Wednesday and 9 a.m. to 3 p.m. Thursday through Saturday. For a taste of the Far East, stop by Taiwan Tea House. Located in the Castleton neighborhood of Indy, Taiwan Tea House specializes in aromatic teas and bubble teas. If you’ve never had a bubble tea, imagine a flavored iced tea — with or without milk — filled with small tapioca pearls. Chewy and sweet, these “bubbles” add an interesting textural sensation to the mix. Dumplings, rice, and other small Asian-style plates finish off your culinary adventure. You can find Taiwan Tea House at 3746 E. 82nd St. It’s open Tuesday through Thursday from 11 a.m. to 9 p.m., Friday and Saturday from 11 a.m. to 9:30 p.m., and Sunday from 11 a.m. to 8 p.m.
With four locations throughout Indianapolis, Cups Coffee is always a short drive from anywhere. But don’t let the name fool you. This cafe knows plenty about tea. Black, green, chai, and fruit-infused tazo teas grace the menu, providing numerous options to satisfy your palate. For a flavor explosion, try the spiced chai tea latte, made with a cup of black tea, honey, vanilla, cardamom, cinnamon, and ginger blended with steamed milk. Traditionalists may find it too busy, but for a fresh take on a cup of tea, it’s refreshing. Hours for Cups Coffee vary by location. Twigs & Tea is a superb tea house for teas from around the world. Whether you want an oolong from China or a white tea from Sri Lanka, they have you covered. The tea house also offers tea blends expertly formulated by their seasoned staff. Add a scone, sandwich, or baked good for a midday experience you’ll want to make a habit. Located at 11643 Maple Street, Twigs & Tea is open from 10 a.m. to 5 p.m. Tuesday through Saturday. Unlike a coffee house, a tea room is all about the experience. Mixing a cup of your favorite tea with a delicious snack, you might just make your coffee fix a thing of the past.